Comfortable bar high chair with a backrest. 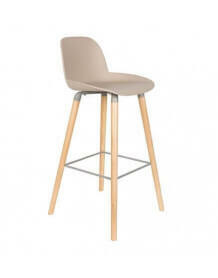 This stool reflects the Scandinavian style with its 4 legs in solid oak and a seat in brown or black faux leather. We also offer matching dining chairs.